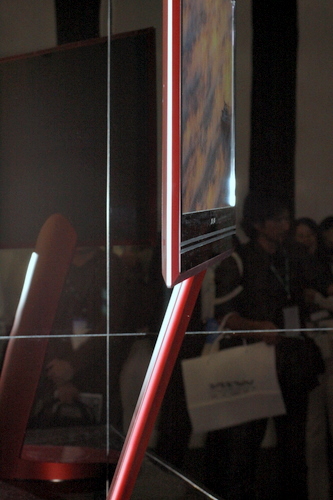 At the CEATEC show near Tokyo—as at other tech shows lately—flat panel TVs are the stars. And like so many of the Hollywood stars, the sets here are unnervingly skinny. 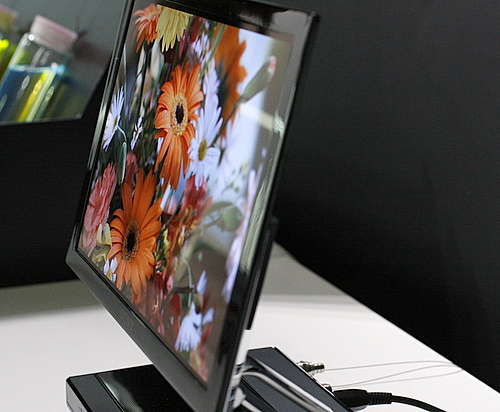 Several companies are pushing the thinness of their LCD panels. But a few are going to the extreme. 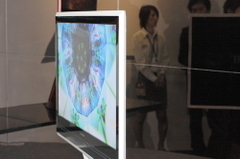 LCD giant Sharp was showing off a mysterious prototype—first displayed in August—that measures fifty-two inches diagonally but just 0.79 inches thick. (That’s slimmer than many pocket cameras.) How did Sharp do it? They won’t say. But they do admit the big secret is in the backlight that illuminates the LCD panel from behind. Hitachi had a similar story. 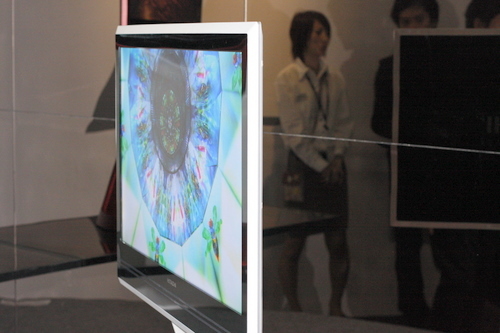 It debuted its own anorexic LCDs – these measuring 32 inches diagonally and a waifish .75 inches thick. Hitachi also declined to name the secret sauce. But unlike Sharp, it did say when the sets will be for sale: 2009 in both Japan and the US. Despite Sharp’s and Hitachi’s reticence, the technology behind the sets is no mystery, according to analyst Richard Doherty of the Envisioneering Group. He’s pretty sure the sets use ultra-small "nano" or "pico" light-emitting diodes for the backlight. LEDs have appeared in high-end sets from Sony, Samsung, and LG, that aren’t any skinnier than sets with fluorescent backlights. But new LEDs are extremely thin. Nice informative article. So much has been written on this topic. One important thing to remember is to focus on proper targeted exercises, not just your usual sit-ups and crunches. All over body exercises will burn more calories and boost metabolism. These are not your traditional ab exercises but work 10 times better. I’m visting. I’ll undoubtedly be back.